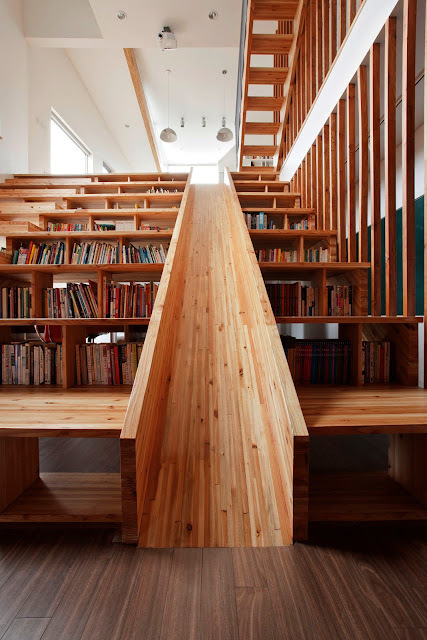 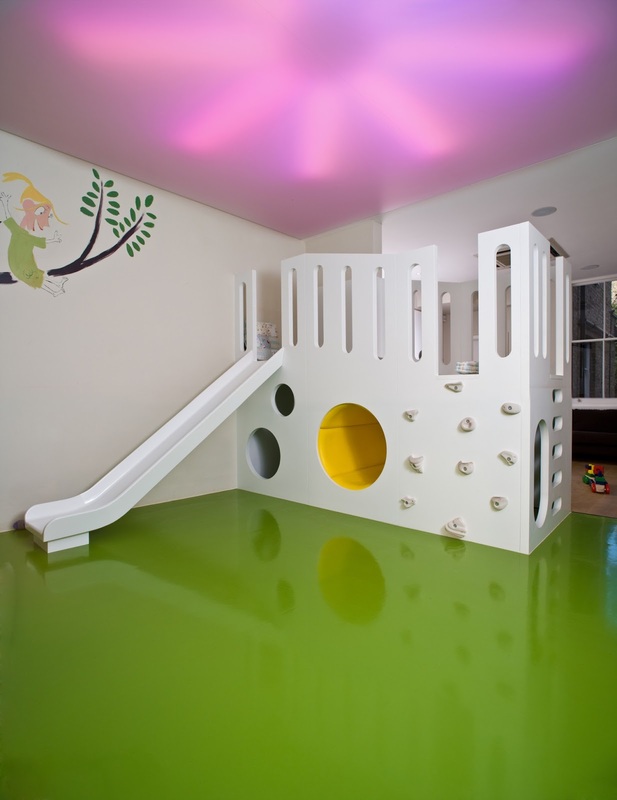 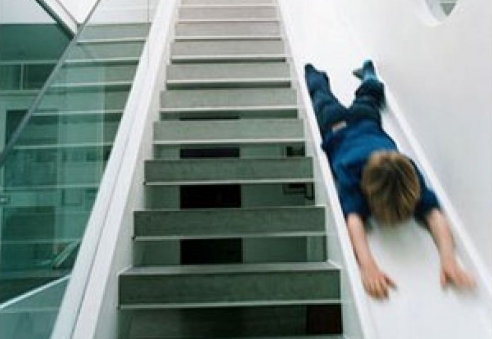 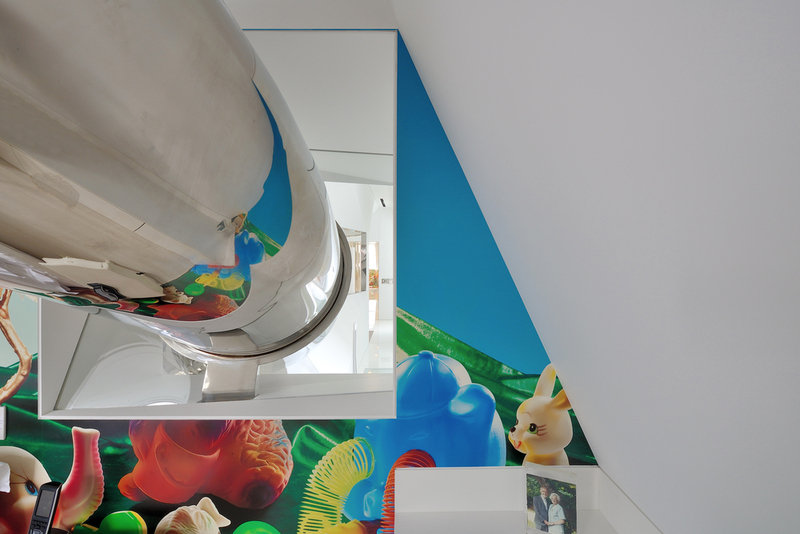 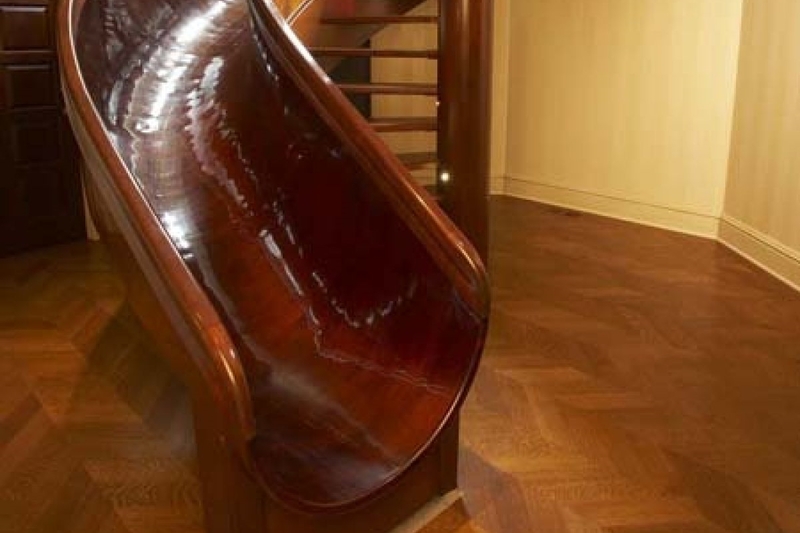 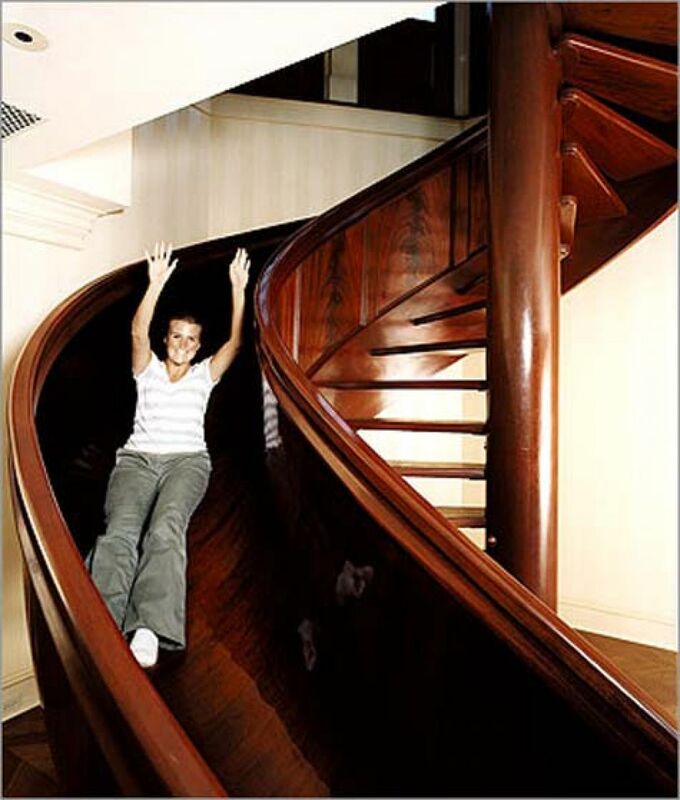 A handful of fun-loving homeowners installed indoor slides in their homes. 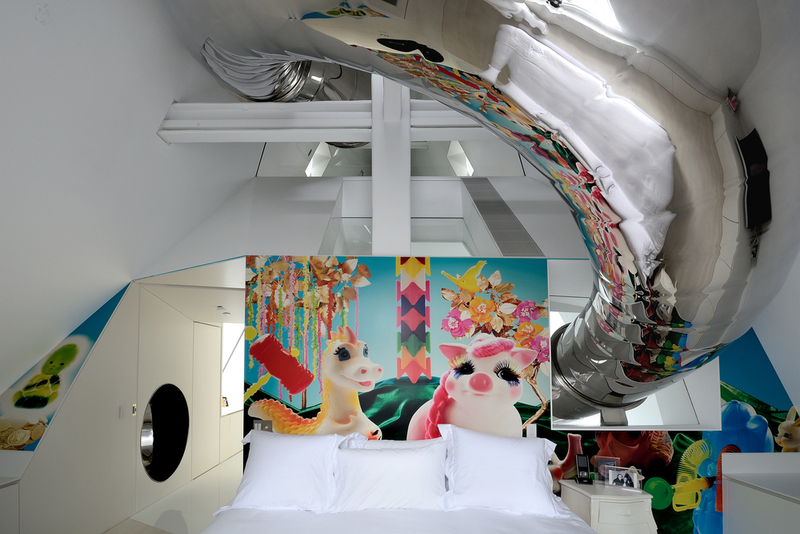 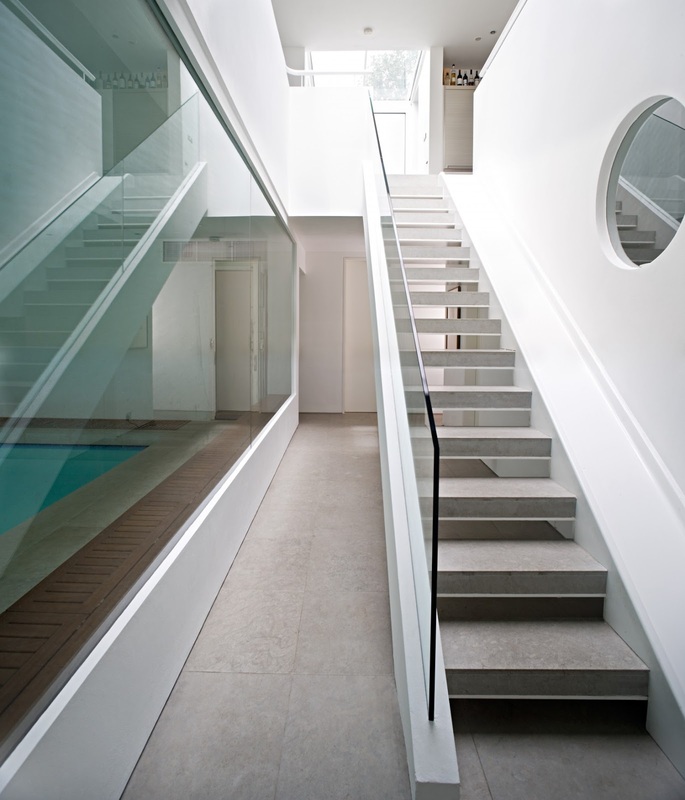 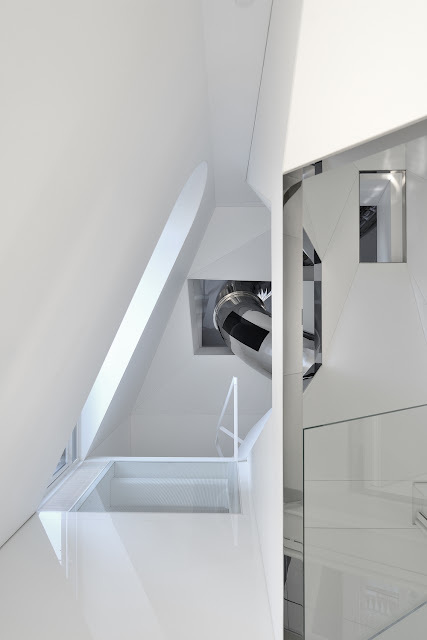 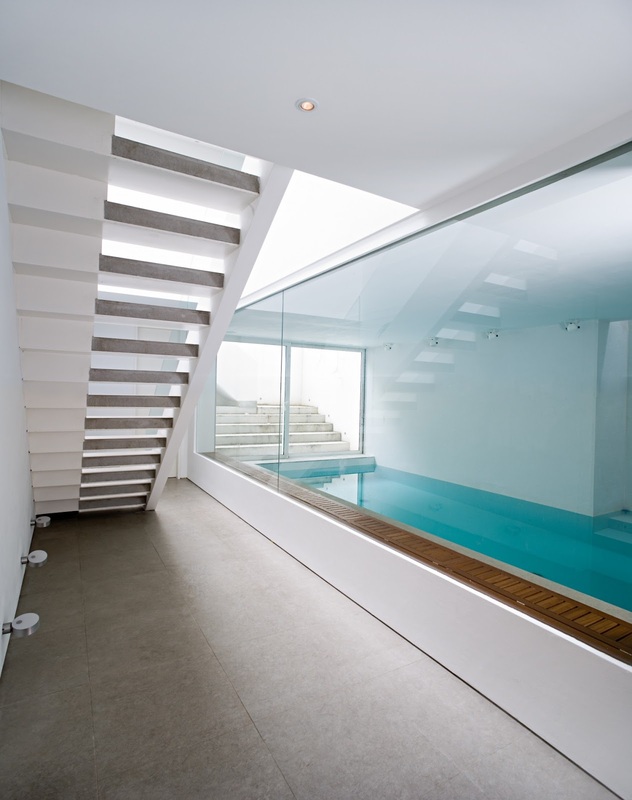 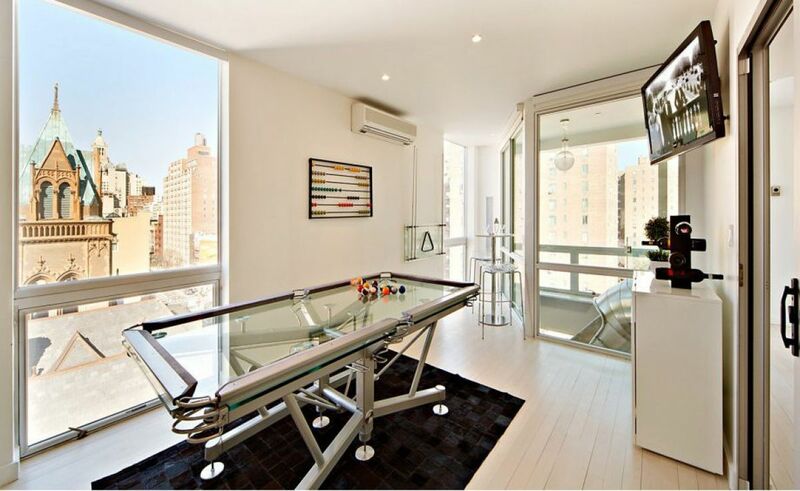 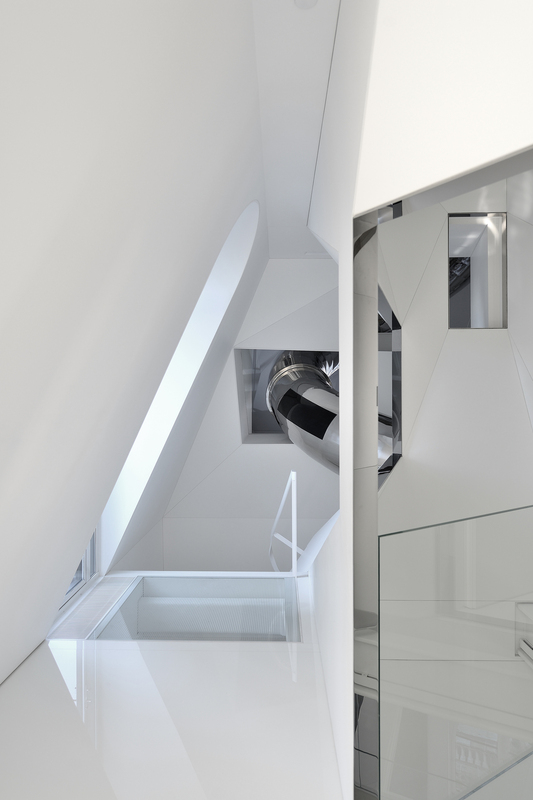 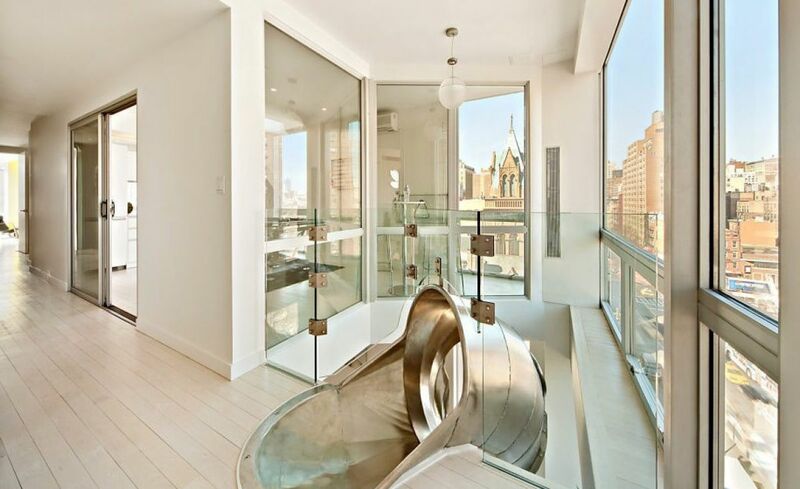 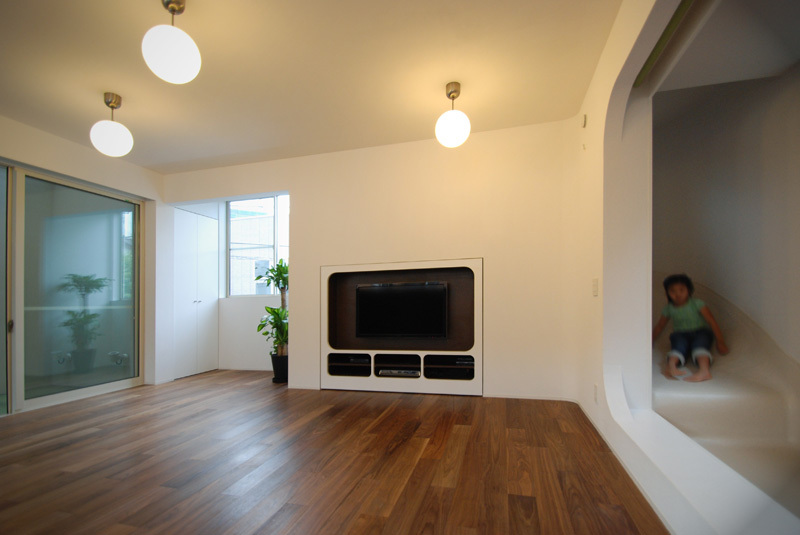 Here are the best interior design examples of houses with indoor slides inside. 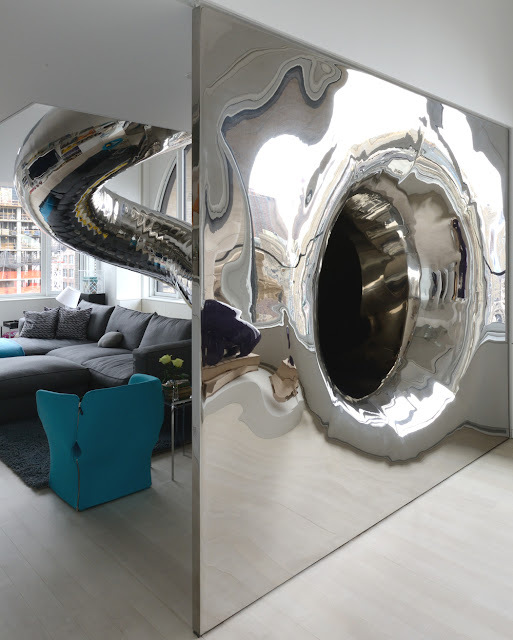 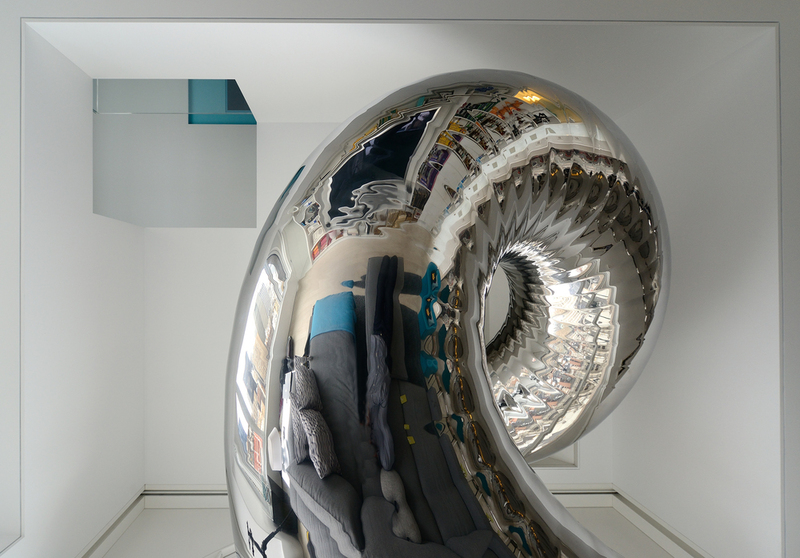 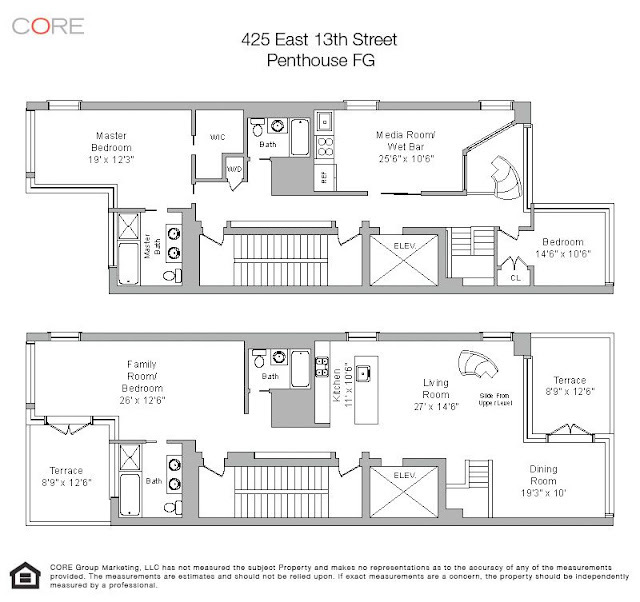 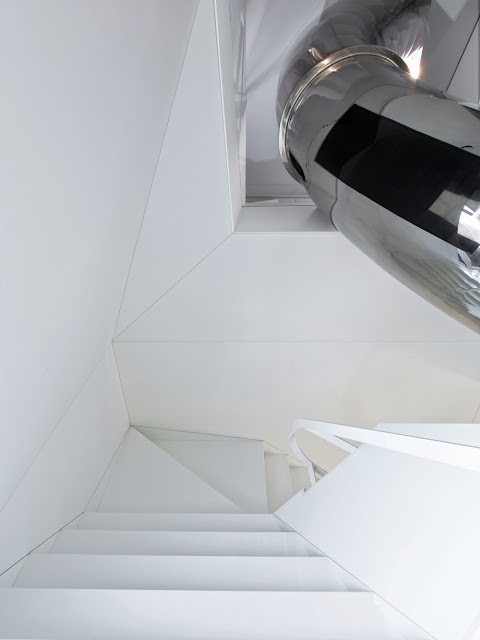 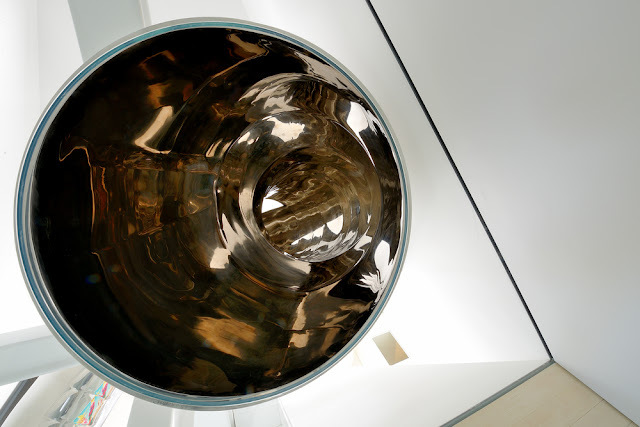 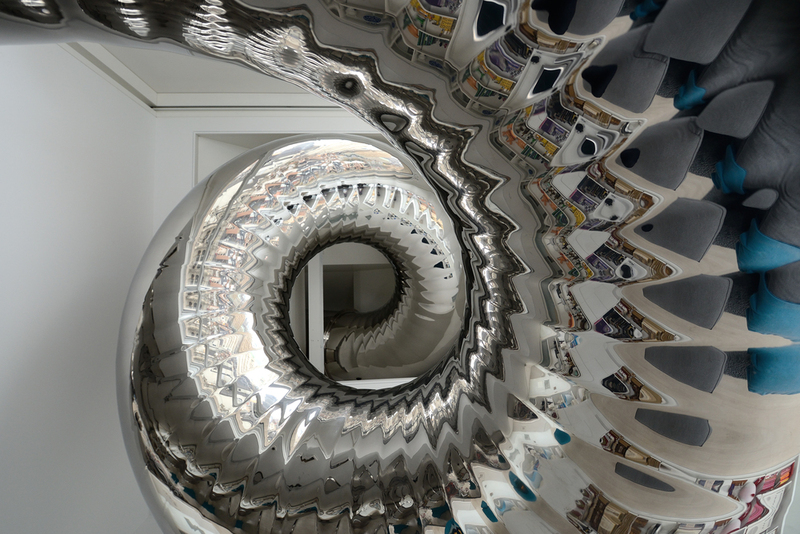 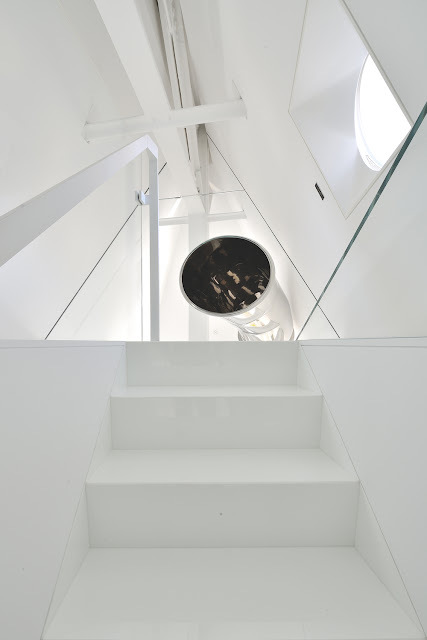 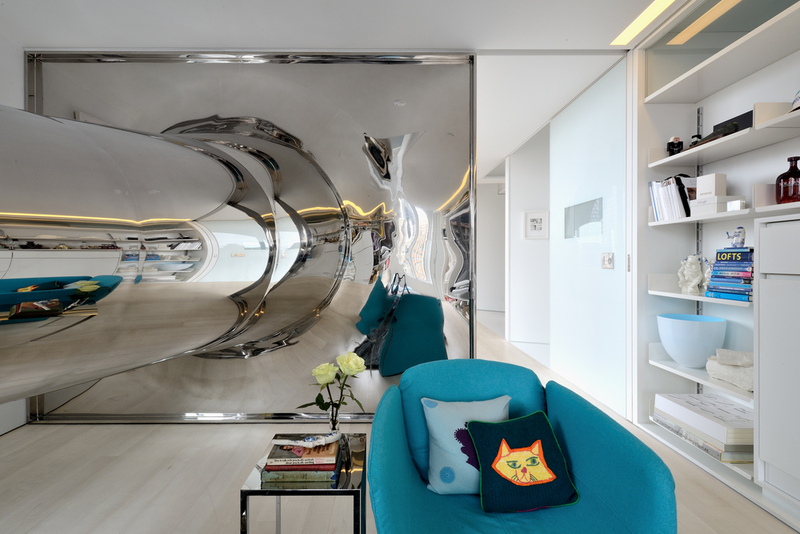 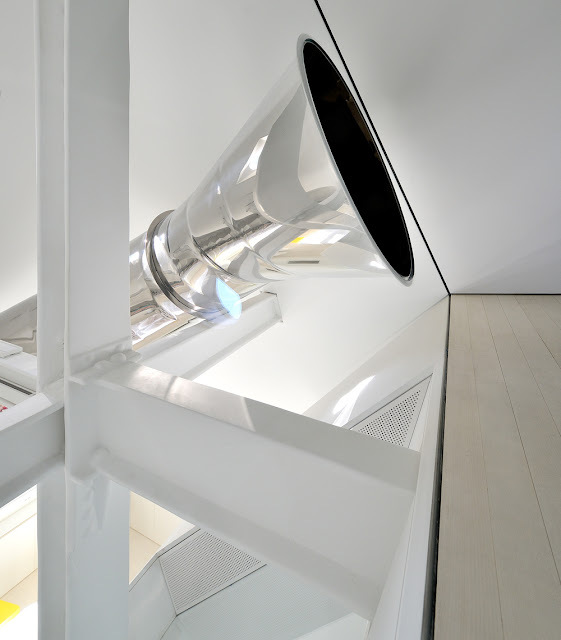 The half-tube stainless steel slide starts on the top floor near the office, and lands below near both the living and dining areas. 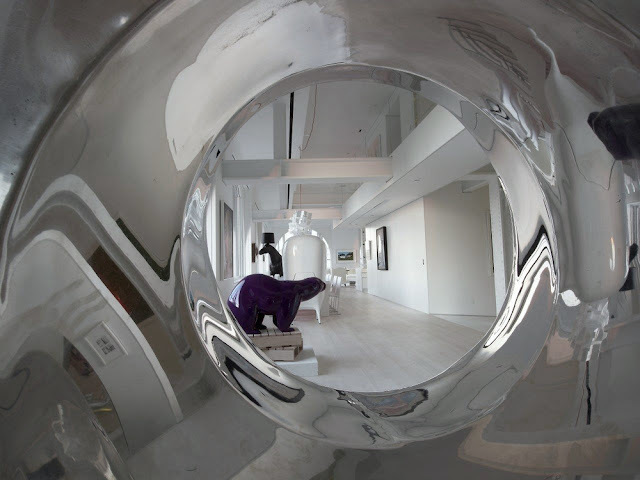 The sculptural slide is housed in a newly created 18' tall double-height space, which includes custom designed glass railings. 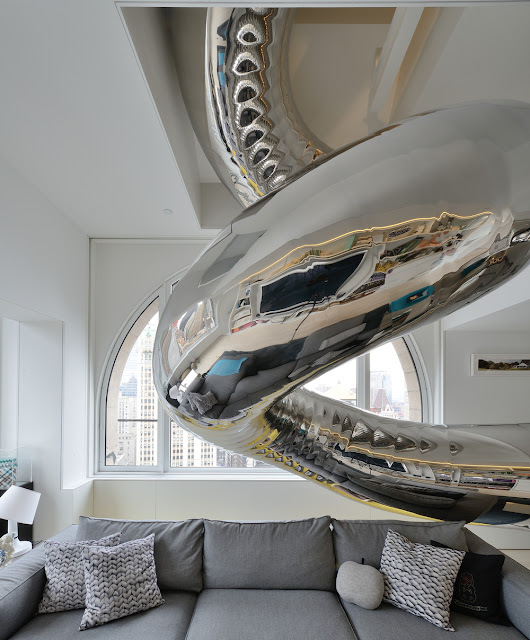 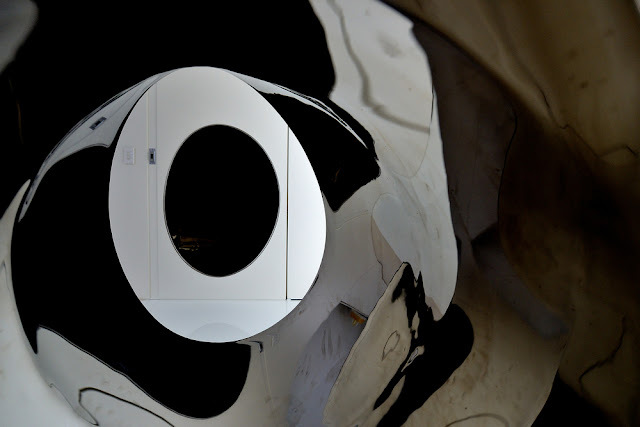 The image of the stainless steel curves in front of the oversized window to the city beyond, to say nothing of the irrepressible glee of grown adults on the slide, is surprisingly poetic; with careful detailing, the playground element is an unexpectedly elegant addition to the space. 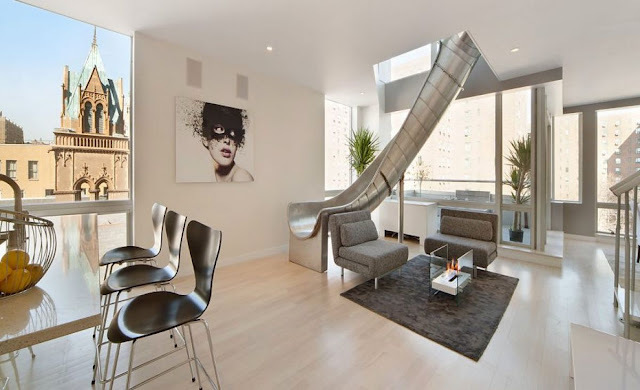 I thought about incorporating the slide as playground equipment as a flow line of the building. 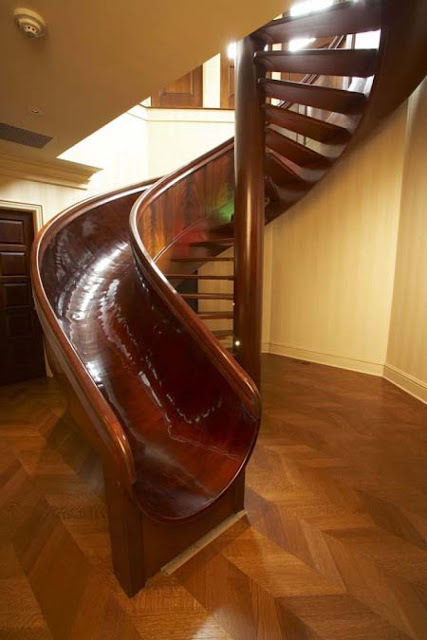 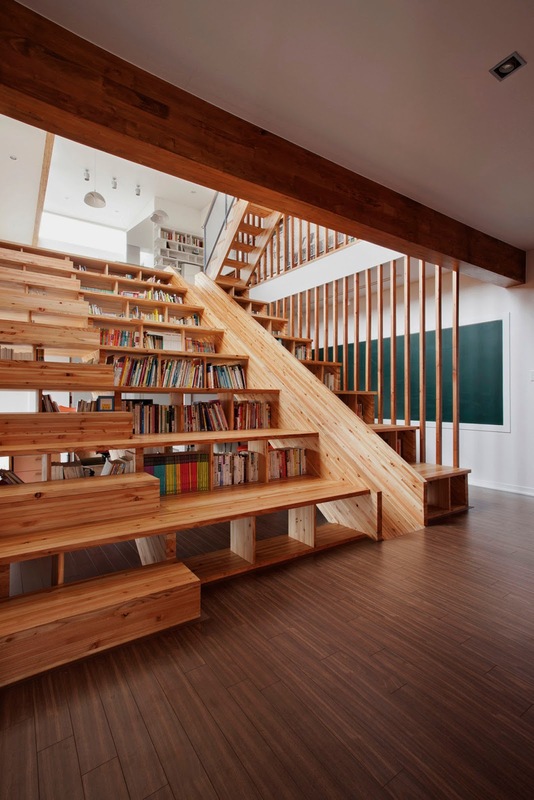 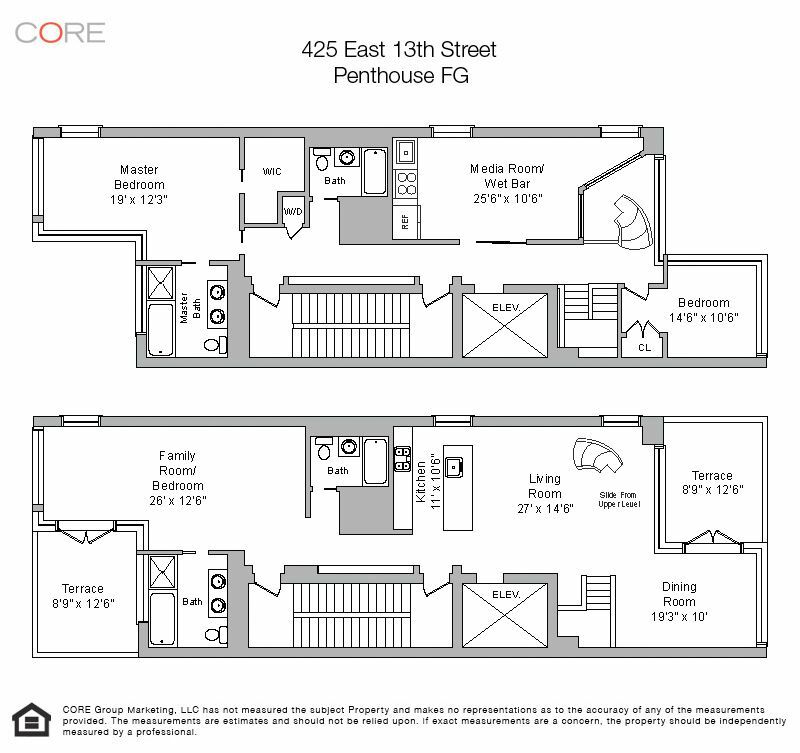 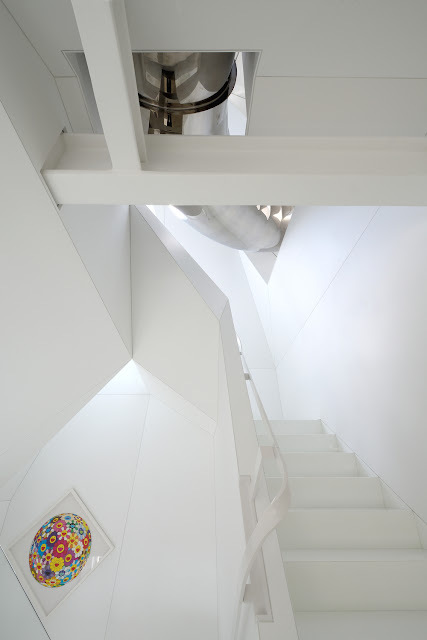 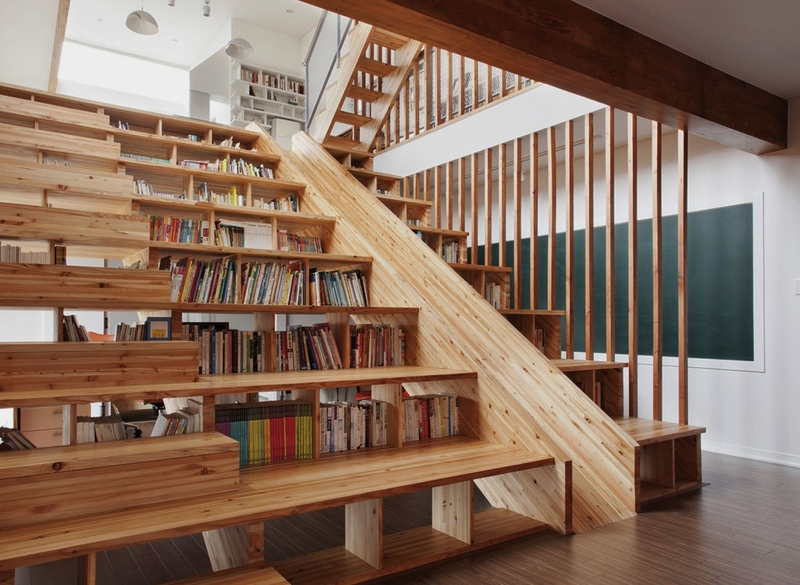 Climb to the top floor at the stairs and go to the lowermost floor with a slide. 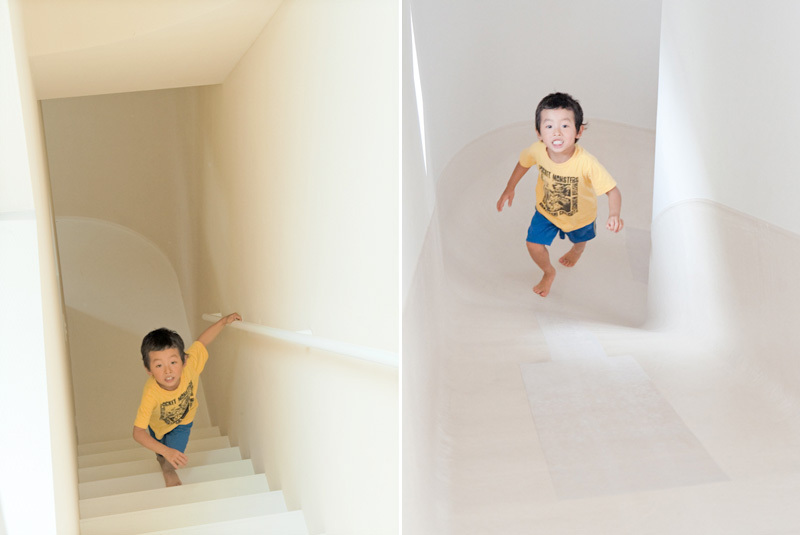 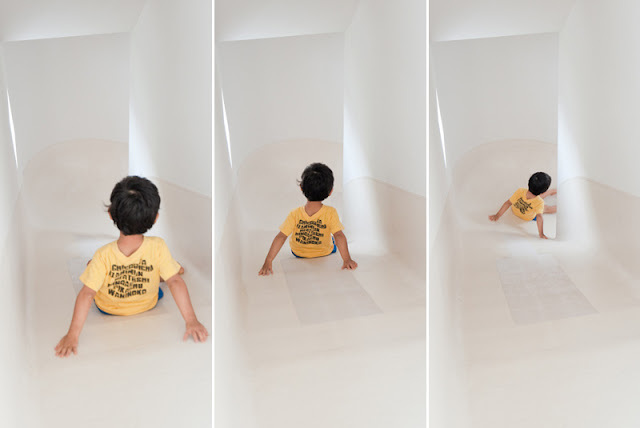 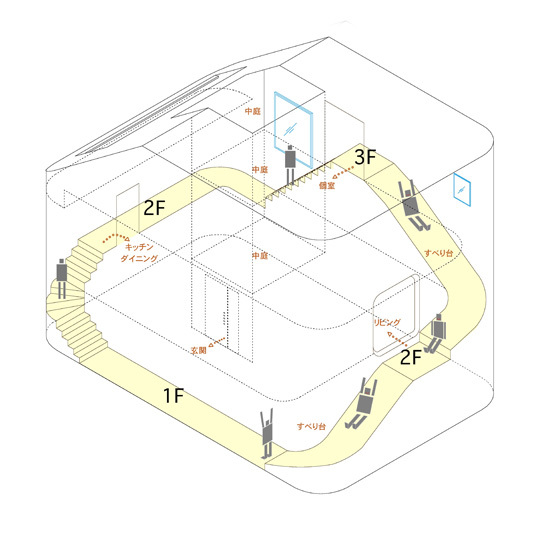 By placing a slide in the daily flow line, the entire building became a playground instead of "a house with a slide," becoming a "slide-centric housing." 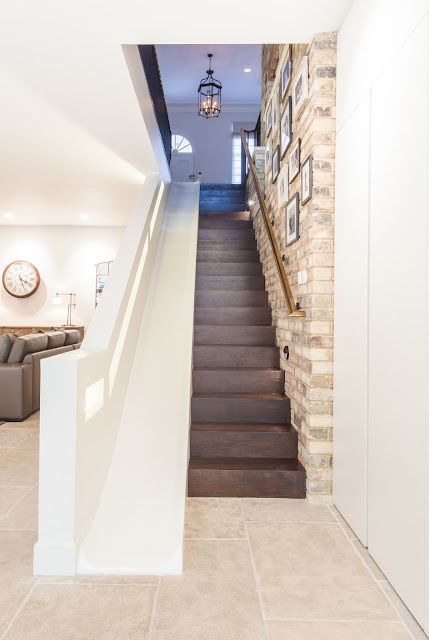 The multi-use stair and slide brings much active energy to the house, not only children, but also grown ups love the slide staircase. 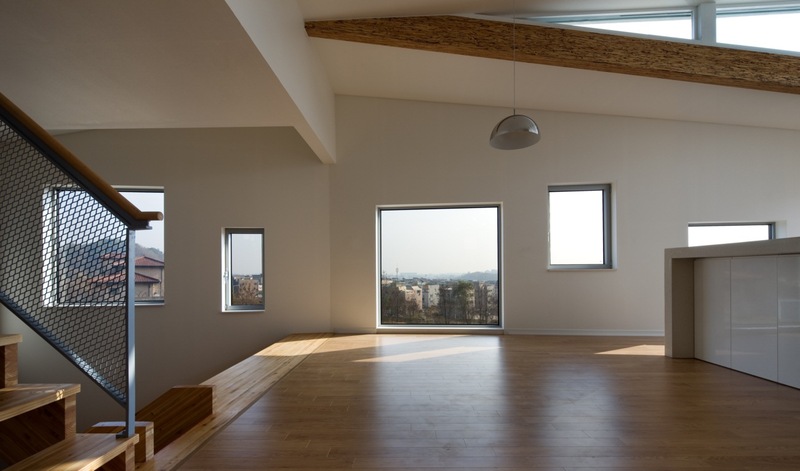 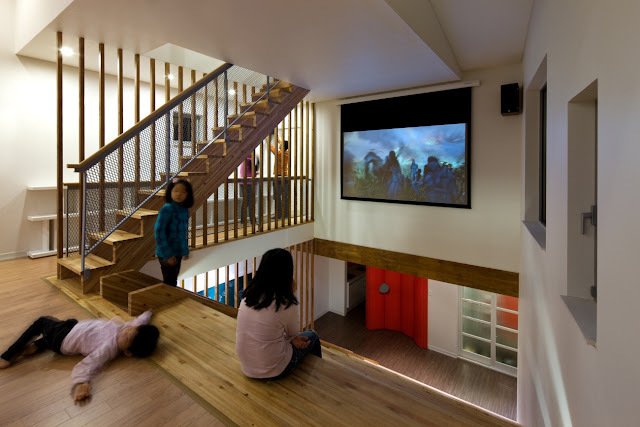 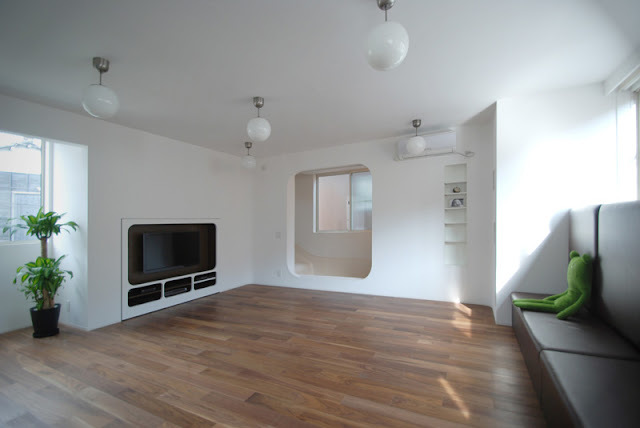 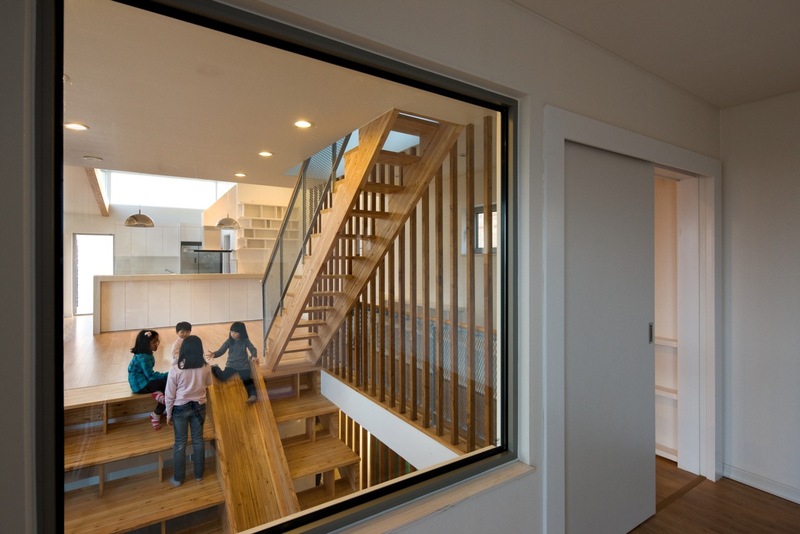 An action filled playful house for all ages. Scott A. Jones believes that home should be a gathering place for friends and a family getaway, so he designed his house to be technologically-advanced, whimsical and smart. 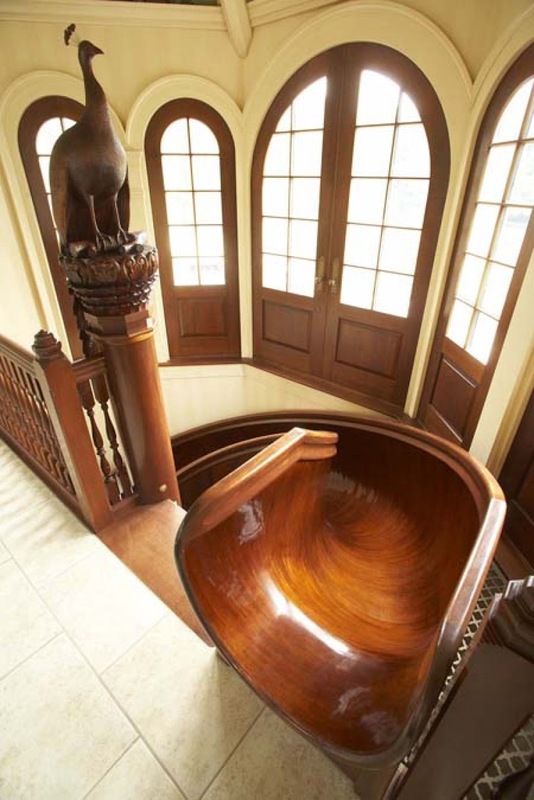 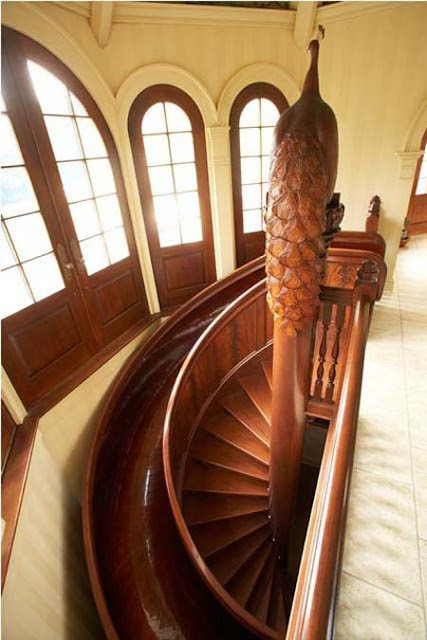 Space of that friendly and smart environment involves a 28-foot beautiful indoor wood slide on the outside of a spiral wood staircase. 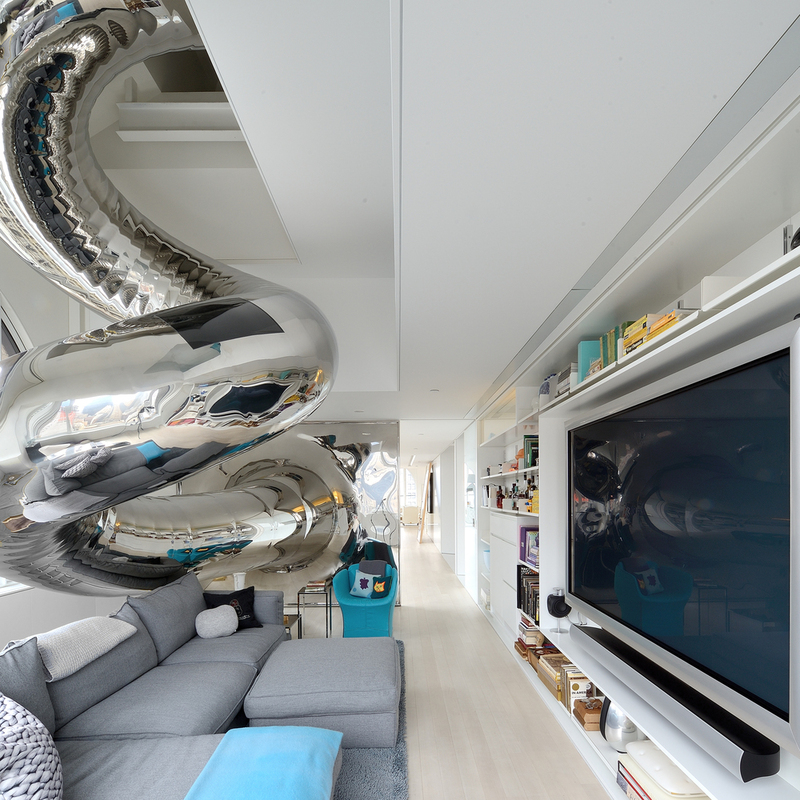 Scott Jones even won an MTV cribs award for Best Crib, so the house is fun to hang out.